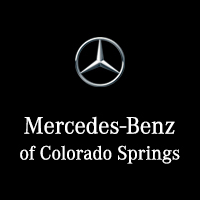 Mercedes-Benz of Colorado Springs has the best selection of used cars, used trucks, and used SUVs at the most affordable prices. Our used car dealership serves the Colorado Springs, Denver, and Pueblo areas. If you have a question about a listing or would like more information, please call 855-349-2827 to speak with one of our associates. CARFAX 1-Owner, ONLY 23,838 Miles! JUST REPRICED FROM $42,530, EPA 23 MPG Hwy/17 MPG City! XL trim, Ingot Silver Metallic exterior and Medium Earth Gray interior. Flex Fuel, iPod/MP3 Input, MEDIUM EARTH GRAY, VINYL 40/20/40 FRO... 4x4. CLICK NOW! KEY FEATURES INCLUDE Flex Fuel, iPod/MP3 Input 4x4, Child Safety Locks, Electronic Stability Control, Brake Assist, 4-Wheel ABS. OPTION PACKAGES MEDIUM EARTH GRAY, VINYL 40/20/40 FRONT SEAT. Ford XL with Ingot Silver Metallic exterior and Medium Earth Gray interior features a V6 Cylinder Engine with 282 HP at 6250 RPM*. EXPERTS CONCLUDE The F-150 boasts high tow and payload ratings and some of the best fuel economy in the light-duty segment. Aluminum body panels and an aluminum bed (rather than traditional steel) help make the 2017 F-150 the lightest truck in its class, too. -Edmunds.com. Great Gas Mileage: 23 MPG Hwy. BUY WITH CONFIDENCE CARFAX 1-Owner BUY FROM AN AWARD WINNING DEALER Welcome to Mercedes-Benz of Colorado Springs. Thank you for taking a moment to view this vehicle. We are one click away for a live chat, send an email, call or visit in person. Whether you are visiting to gather information, search for a new or pre-owned vehicle, we hope to provide the highest level of assistance. Please feel free to request additional information or set up an appointment. We're here to make your shopping simple. Pricing analysis performed on 4/17/2019. Horsepower calculations based on trim engine configuration. Fuel economy calculations based on original manufacturer data for trim engine configuration. Please confirm the accuracy of the included equipment by calling us prior to purchase. Offer is valid through 2019-04-25.CARFAX 1-Owner, ONLY 23,838 Miles! JUST REPRICED FROM $42,530, EPA 23 MPG Hwy/17 MPG City! XL trim, Ingot Silver Metallic exterior and Medium Earth Gray interior. Flex Fuel, iPod/MP3 Input, MEDIUM EARTH GRAY, VINYL 40/20/40 FRO... 4x4. CLICK NOW! Flex Fuel, iPod/MP3 Input 4x4, Child Safety Locks, Electronic Stability Control, Brake Assist, 4-Wheel ABS. MEDIUM EARTH GRAY, VINYL 40/20/40 FRONT SEAT. Ford XL with Ingot Silver Metallic exterior and Medium Earth Gray interior features a V6 Cylinder Engine with 282 HP at 6250 RPM*. The F-150 boasts high tow and payload ratings and some of the best fuel economy in the light-duty segment. Aluminum body panels and an aluminum bed (rather than traditional steel) help make the 2017 F-150 the lightest truck in its class, too. -Edmunds.com. Great Gas Mileage: 23 MPG Hwy. ORGINAL MSRP $58,585, Discount of $16,000+ CPO unlimited miles warranty. NAV, Sunroof, Heated Seats, Keyless Start, iPod/MP3 Input, Dual Zone A/C, Full-Time 4MATIC® All-Wheel Drive, SPORT WHEEL PACKAGE, REAR SPOILER. Mercedes-Benz Certified, CARFAX 1-Owner, ONLY 9,312 Miles! Polar White exterior and Macchiato Beige / Black interior, E 300 Sport trim. KEY FEATURES INCLUDE Navigation, Sunroof, Full-Time 4MATIC® All-Wheel Drive, iPod/MP3 Input, Onboard Communications System, Keyless Start, Dual Zone A/C MP3 Player, Keyless Entry, Remote Trunk Release, Steering Wheel Controls, Child Safety Locks. OPTION PACKAGES HEATED FRONT SEATS, SPORT WHEEL PACKAGE: Sport Body Styling, Sport Interior, Sport Interior (P15), Perforated Front Brake Discs & Fr Brake Calipers, WHEELS: 19 AMG® TWIN 5-SPOKE: Tires: 19 AS, SIRIUSXM RADIO: free trial period, REAR SPOILER. Mercedes-Benz E 300 Sport with Polar White exterior and Macchiato Beige / Black interior features a 4 Cylinder Engine with 241 HP at 5500 RPM*. SHOP WITH CONFIDENCE Balance of New Car Warranty plus 1 year/unlimited miles extended Limited Warranty, 24-Hour Roadside Assistance, Carfax Vehicle History Report, NO Deductible, Rigorous Inspection by Factory Certified Technicians, Exchange Privilege for 7 days or 500 miles, whichever comes first, Trip-Interruption Services WHY BUY FROM US Welcome to Mercedes-Benz of Colorado Springs. Thank you for taking a moment to view this vehicle. We are one click away for a live chat, send an email, call or visit in person. Whether you are visiting to gather information, search for a new or pre-owned vehicle, we hope to provide the highest level of assistance. Please feel free to request additional information or set up an appointment. We're here to make your shopping simple. Horsepower calculations based on trim engine configuration. Please confirm the accuracy of the included equipment by calling us prior to purchase. Offer is valid through 2019-04-25.ORGINAL MSRP $58,585, Discount of $16,000+ CPO unlimited miles warranty. NAV, Sunroof, Heated Seats, Keyless Start, iPod/MP3 Input, Dual Zone A/C, Full-Time 4MATIC® All-Wheel Drive, SPORT WHEEL PACKAGE, REAR SPOILER. Mercedes-Benz Certified, CARFAX 1-Owner, ONLY 9,312 Miles! Polar White exterior and Macchiato Beige / Black interior, E 300 Sport trim. Navigation, Sunroof, Full-Time 4MATIC® All-Wheel Drive, iPod/MP3 Input, Onboard Communications System, Keyless Start, Dual Zone A/C MP3 Player, Keyless Entry, Remote Trunk Release, Steering Wheel Controls, Child Safety Locks. HEATED FRONT SEATS, SPORT WHEEL PACKAGE: Sport Body Styling, Sport Interior, Sport Interior (P15), Perforated Front Brake Discs & Fr Brake Calipers, WHEELS: 19 AMG® TWIN 5-SPOKE: Tires: 19 AS, SIRIUSXM RADIO: free trial period, REAR SPOILER. Mercedes-Benz E 300 Sport with Polar White exterior and Macchiato Beige / Black interior features a 4 Cylinder Engine with 241 HP at 5500 RPM*. MSRP $52,395, Discount of $7,000+, Lease for $409 with $2999 Down Payment, EPA 32 MPG Hwy/23 MPG City! REDUCED FROM $45,800! NAV, Heated Seats, Sunroof, Full-Time 4MATIC® All-Wheel Drive, Dual Zone AC, Remote Engine Start, iPod/MP3 Input, Back-Up Camera, PANORAMA SUNROOF. Lunar Blue Metallic exterior and Silk Beige/Black interior, C 300 trim. CARFAX 1-Owner, GREAT MILES 5,621! KEY FEATURES INCLUDE Full-Time 4MATIC® All-Wheel Drive, Back-Up Camera, iPod/MP3 Input, Onboard Communications System, Remote Engine Start, Dual Zone A/C. Child Safety Locks, Steering Wheel Controls, Electronic Stability Control, Heated Mirrors, Bucket Seats. OPTION PACKAGES MULTIMEDIA PACKAGE: 8.4 high-resolution color screen, COMAND® Navigation, COMAND® Single CD/DVD, Touchpad, Navigation Map Updates Included for 3 Years, DVD Coding, PREMIUM PACKAGE: KEYLESS GO®, Blind Spot Assist, SiriusXM Satellite Radio, PANORAMA SUNROOF, BURMESTER PREMIUM SOUND SYSTEM, LED HEADLAMPS, HEATED FRONT SEATS, WHEELS: 18 TWIN 5-SPOKE: Tires: P225/45R18 Fr & P245/40R18 Rr, HEATED STEERING WHEEL. Mercedes-Benz C 300 with Lunar Blue Metallic exterior and Silk Beige/Black interior features a 4 Cylinder Engine with 241 HP at 5550 RPM*. EXPERTS RAVE Great Gas Mileage: 32 MPG Hwy. WHO WE ARE Welcome to Mercedes-Benz of Colorado Springs. Thank you for taking a moment to view this vehicle. We are one click away for a live chat, send an email, call or visit in person. Whether you are visiting to gather information, search for a new or pre-owned vehicle, we hope to provide the highest level of assistance. Please feel free to request additional information or set up an appointment. We're here to make your shopping simple. Horsepower calculations based on trim engine configuration. Fuel economy calculations based on original manufacturer data for trim engine configuration. Please confirm the accuracy of the included equipment by calling us prior to purchase. Offer is valid through 2019-04-25.MSRP $52,395, Discount of $7,000+, Lease for $409 with $2999 Down Payment, EPA 32 MPG Hwy/23 MPG City! REDUCED FROM $45,800! NAV, Heated Seats, Sunroof, Full-Time 4MATIC® All-Wheel Drive, Dual Zone AC, Remote Engine Start, iPod/MP3 Input, Back-Up Camera, PANORAMA SUNROOF. Lunar Blue Metallic exterior and Silk Beige/Black interior, C 300 trim. CARFAX 1-Owner, GREAT MILES 5,621! Full-Time 4MATIC® All-Wheel Drive, Back-Up Camera, iPod/MP3 Input, Onboard Communications System, Remote Engine Start, Dual Zone A/C. Child Safety Locks, Steering Wheel Controls, Electronic Stability Control, Heated Mirrors, Bucket Seats. MULTIMEDIA PACKAGE: 8.4 high-resolution color screen, COMAND® Navigation, COMAND® Single CD/DVD, Touchpad, Navigation Map Updates Included for 3 Years, DVD Coding, PREMIUM PACKAGE: KEYLESS GO®, Blind Spot Assist, SiriusXM Satellite Radio, PANORAMA SUNROOF, BURMESTER PREMIUM SOUND SYSTEM, LED HEADLAMPS, HEATED FRONT SEATS, WHEELS: 18 TWIN 5-SPOKE: Tires: P225/45R18 Fr & P245/40R18 Rr, HEATED STEERING WHEEL. Mercedes-Benz C 300 with Lunar Blue Metallic exterior and Silk Beige/Black interior features a 4 Cylinder Engine with 241 HP at 5550 RPM*. ORGINAL MSRP $59,225, Discount of $15,000+. Mercedes-Benz Certified, CARFAX 1-Owner. CPO unlimited miles warranty. NAV, Sunroof, Heated Seats, Onboard Communications System, Dual Zone A/C, Keyless Start, SIRIUSXM RADIO, PANORAMA ROOF, HEATED FRONT SEATS, Alloy Wheels. Polar White exterior and Macchiato Beige / Black interior, E 300 Sport trim. AND MORE! KEY FEATURES INCLUDE Navigation, Full-Time 4MATIC® All-Wheel Drive, iPod/MP3 Input, Onboard Communications System, Aluminum Wheels, Keyless Start, Dual Zone A/C MP3 Player, Remote Trunk Release, Keyless Entry, Steering Wheel Controls, Child Safety Locks. OPTION PACKAGES PANORAMA ROOF: power tilt/sliding sunroof, HEATED FRONT SEATS, SIRIUSXM RADIO free trial period. Mercedes-Benz E 300 Sport with Polar White exterior and Macchiato Beige / Black interior features a 4 Cylinder Engine with 241 HP at 5500 RPM*. BUY WITH CONFIDENCE Balance of New Car Warranty plus 1 year/unlimited miles extended Limited Warranty, 24-Hour Roadside Assistance, Carfax Vehicle History Report, NO Deductible, Rigorous Inspection by Factory Certified Technicians, Exchange Privilege for 7 days or 500 miles, whichever comes first, Trip-Interruption Services MORE ABOUT US Welcome to Mercedes-Benz of Colorado Springs. Thank you for taking a moment to view this vehicle. We are one click away for a live chat, send an email, call or visit in person. Whether you are visiting to gather information, search for a new or pre-owned vehicle, we hope to provide the highest level of assistance. Please feel free to request additional information or set up an appointment. We're here to make your shopping simple. Horsepower calculations based on trim engine configuration. Please confirm the accuracy of the included equipment by calling us prior to purchase. Offer is valid through 2019-04-25.ORGINAL MSRP $59,225, Discount of $15,000+. Mercedes-Benz Certified, CARFAX 1-Owner. CPO unlimited miles warranty. NAV, Sunroof, Heated Seats, Onboard Communications System, Dual Zone A/C, Keyless Start, SIRIUSXM RADIO, PANORAMA ROOF, HEATED FRONT SEATS, Alloy Wheels. Polar White exterior and Macchiato Beige / Black interior, E 300 Sport trim. AND MORE! Navigation, Full-Time 4MATIC® All-Wheel Drive, iPod/MP3 Input, Onboard Communications System, Aluminum Wheels, Keyless Start, Dual Zone A/C MP3 Player, Remote Trunk Release, Keyless Entry, Steering Wheel Controls, Child Safety Locks. PANORAMA ROOF: power tilt/sliding sunroof, HEATED FRONT SEATS, SIRIUSXM RADIO free trial period. Mercedes-Benz E 300 Sport with Polar White exterior and Macchiato Beige / Black interior features a 4 Cylinder Engine with 241 HP at 5500 RPM*. EPA 32 MPG Hwy/24 MPG City! Polar White exterior and Crystal Grey interior, CLA 250 trim. CARFAX 1-Owner, LOW MILES - 6! Moonroof, Back-Up Camera, Full-Time 4MATIC® All-Wheel Drive, Turbo Charged Engine, Flex Fuel, Onboard Communications System, Remote Engine Start, iPod/MP3 Input, CD Player, PANORAMA SUNROOF, LED HEADLAMPS, REAR SPOILER, CONVENIENCE PACKAGE, PREMIUM PACKAGE, Chrome Wheels, SMARTPHONE INTEGRATION, MATTE BLACK ASH WOOD TRIM. CLICK NOW! KEY FEATURES INCLUDE Full-Time 4MATIC® All-Wheel Drive, Back-Up Camera, Turbocharged, Flex Fuel, iPod/MP3 Input, CD Player, Onboard Communications System, Chrome Wheels, Remote Engine Start, Dual Zone A/C. MP3 Player, Steering Wheel Controls, Child Safety Locks, Heated Mirrors, Electronic Stability Control. OPTION PACKAGES PREMIUM PACKAGE KEYLESS GO®, Blind Spot Assist, Heated Front Seats, SiriusXM Satellite Radio, HANDS-FREE ACCESS, PANORAMA SUNROOF, LED HEADLAMPS, CONVENIENCE PACKAGE Garage Door Opener, Auto-Dimming Rearview & Driver-Side Mirrors, SMARTPHONE INTEGRATION Android Auto, Apple CarPlay, Smartphone Integration (14U), MATTE BLACK ASH WOOD TRIM, REAR SPOILER. Mercedes-Benz CLA 250 with Polar White exterior and Crystal Grey interior features a 4 Cylinder Engine with 208 HP at 5500 RPM*. WHY BUY FROM US Welcome to Mercedes-Benz of Colorado Springs. Thank you for taking a moment to view this vehicle. We are one click away for a live chat, send an email, call or visit in person. Whether you are visiting to gather information, search for a new or pre-owned vehicle, we hope to provide the highest level of assistance. Please feel free to request additional information or set up an appointment. We're here to make your shopping simple. Horsepower calculations based on trim engine configuration. Fuel economy calculations based on original manufacturer data for trim engine configuration. Please confirm the accuracy of the included equipment by calling us prior to purchase. Offer is valid through 2019-04-25.EPA 32 MPG Hwy/24 MPG City! Polar White exterior and Crystal Grey interior, CLA 250 trim. CARFAX 1-Owner, LOW MILES - 6! Moonroof, Back-Up Camera, Full-Time 4MATIC® All-Wheel Drive, Turbo Charged Engine, Flex Fuel, Onboard Communications System, Remote Engine Start, iPod/MP3 Input, CD Player, PANORAMA SUNROOF, LED HEADLAMPS, REAR SPOILER, CONVENIENCE PACKAGE, PREMIUM PACKAGE, Chrome Wheels, SMARTPHONE INTEGRATION, MATTE BLACK ASH WOOD TRIM. CLICK NOW! Full-Time 4MATIC® All-Wheel Drive, Back-Up Camera, Turbocharged, Flex Fuel, iPod/MP3 Input, CD Player, Onboard Communications System, Chrome Wheels, Remote Engine Start, Dual Zone A/C. MP3 Player, Steering Wheel Controls, Child Safety Locks, Heated Mirrors, Electronic Stability Control. PREMIUM PACKAGE KEYLESS GO®, Blind Spot Assist, Heated Front Seats, SiriusXM Satellite Radio, HANDS-FREE ACCESS, PANORAMA SUNROOF, LED HEADLAMPS, CONVENIENCE PACKAGE Garage Door Opener, Auto-Dimming Rearview & Driver-Side Mirrors, SMARTPHONE INTEGRATION Android Auto, Apple CarPlay, Smartphone Integration (14U), MATTE BLACK ASH WOOD TRIM, REAR SPOILER. Mercedes-Benz CLA 250 with Polar White exterior and Crystal Grey interior features a 4 Cylinder Engine with 208 HP at 5500 RPM*. MRSP $49,082 Discount of $6,000+, Lease for $489 with $3999 Down Payment and approved credit. GREAT MILES 4,501! Moonroof, Heated Seats, Power Liftgate, Full-Time 4MATIC® All-Wheel Drive, Turbo Charged, Remote Engine Start, Back-Up Camera, iPod/MP3 Input, PANORAMA SUNROOF, HEATED STEERING WHEEL, BLIND SPOT ASSIST, LEATHER SEATING PACKAGE, PREMIUM PACKAGE, Aluminum Wheels, BURMESTER SURROUND SOUND SYSTEM, SMARTPHONE INTEGRATION PACKAGE. WAS $49,085, EPA 27 MPG Hwy/22 MPG City! SEE MORE! KEY FEATURES INCLUDE Full-Time 4MATIC® All-Wheel Drive, Power Liftgate, Heated Driver Seat, Back-Up Camera, Turbocharged, iPod/MP3 Input, Onboard Communications System, Aluminum Wheels, Remote Engine Start, Dual Zone A/C, Heated Seats MP3 Player, Privacy Glass, Remote Trunk Release, Steering Wheel Controls, Child Safety Locks. OPTION PACKAGES LEATHER SEATING PACKAGE Power Passenger Seat w/Memory, PANORAMA SUNROOF, PREMIUM PACKAGE KEYLESS GO®, SiriusXM Satellite Radio, BURMESTER SURROUND SOUND SYSTEM, BLIND SPOT ASSIST, SMARTPHONE INTEGRATION PACKAGE Android Auto, Apple CarPlay, Smartphone Integration, HEATED STEERING WHEEL. Mercedes-Benz GLC 300 with Selenite Grey Metallic exterior and Black interior features a 4 Cylinder Engine with 241 HP at 5500 RPM*. A GREAT VALUE CARFAX 1-Owner BUY FROM AN AWARD WINNING DEALER Welcome to Mercedes-Benz of Colorado Springs. Thank you for taking a moment to view this vehicle. We are one click away for a live chat, send an email, call or visit in person. Whether you are visiting to gather information, search for a new or pre-owned vehicle, we hope to provide the highest level of assistance. Please feel free to request additional information or set up an appointment. We're here to make your shopping simple. Horsepower calculations based on trim engine configuration. Fuel economy calculations based on original manufacturer data for trim engine configuration. Please confirm the accuracy of the included equipment by calling us prior to purchase. Offer is valid through 2019-04-25.MRSP $49,082 Discount of $6,000+, Lease for $489 with $3999 Down Payment and approved credit. GREAT MILES 4,501! Moonroof, Heated Seats, Power Liftgate, Full-Time 4MATIC® All-Wheel Drive, Turbo Charged, Remote Engine Start, Back-Up Camera, iPod/MP3 Input, PANORAMA SUNROOF, HEATED STEERING WHEEL, BLIND SPOT ASSIST, LEATHER SEATING PACKAGE, PREMIUM PACKAGE, Aluminum Wheels, BURMESTER SURROUND SOUND SYSTEM, SMARTPHONE INTEGRATION PACKAGE. WAS $49,085, EPA 27 MPG Hwy/22 MPG City! SEE MORE! LEATHER SEATING PACKAGE Power Passenger Seat w/Memory, PANORAMA SUNROOF, PREMIUM PACKAGE KEYLESS GO®, SiriusXM Satellite Radio, BURMESTER SURROUND SOUND SYSTEM, BLIND SPOT ASSIST, SMARTPHONE INTEGRATION PACKAGE Android Auto, Apple CarPlay, Smartphone Integration, HEATED STEERING WHEEL. Mercedes-Benz GLC 300 with Selenite Grey Metallic exterior and Black interior features a 4 Cylinder Engine with 241 HP at 5500 RPM*. MRSP $45,615 Discount of $3,800+, Lease for $399 with $2999 Down Payment and approved credit. Sunroof, Leather Seats, Alloy Wheels, Turbo, Flex Fuel,CD Player, iPod/MP3 Input, Full-Time 4MATIC® All-Wheel Drive, Back-Up Camera, PANORAMA SUNROOF, LED HEADLAMPS, PARKING PILOT, CONVENIENCE PACKAGE, MATTE BLACK ASH WOOD TRIM, PREMIUM PACKAGE, NUT BROWN, LEATHER UPHOLSTERY, SMARTPHONE INTEGRATION. CLA 250 trim. PRICE DROP FROM $45,615, FUEL EFFICIENT 32 MPG Hwy/24 MPG City! SEE MORE! KEY FEATURES INCLUDE Full-Time 4MATIC® All-Wheel Drive, Back-Up Camera, Turbocharged, Flex Fuel, iPod/MP3 Input, CD Player, Onboard Communications System, Aluminum Wheels, Remote Engine Start, Dual Zone A/C. MP3 Player, Steering Wheel Controls, Child Safety Locks, Heated Mirrors, Electronic Stability Control. OPTION PACKAGES PREMIUM PACKAGE KEYLESS GO®, Blind Spot Assist, Heated Front Seats, SiriusXM Satellite Radio, HANDS-FREE ACCESS, NUT BROWN, LEATHER UPHOLSTERY, PANORAMA SUNROOF, PARKING PILOT, LED HEADLAMPS, CONVENIENCE PACKAGE Garage Door Opener, Auto-Dimming Rearview & Driver-Side Mirrors, SMARTPHONE INTEGRATION Android Auto, Apple CarPlay, Smartphone Integration (14U), MATTE BLACK ASH WOOD TRIM. EXPERTS CONCLUDE Great Gas Mileage: 32 MPG Hwy. SHOP WITH CONFIDENCE CARFAX 1-Owner OUR OFFERINGS Welcome to Mercedes-Benz of Colorado Springs. Thank you for taking a moment to view this vehicle. We are one click away for a live chat, send an email, call or visit in person. Whether you are visiting to gather information, search for a new or pre-owned vehicle, we hope to provide the highest level of assistance. Please feel free to request additional information or set up an appointment. We're here to make your shopping simple. Horsepower calculations based on trim engine configuration. Fuel economy calculations based on original manufacturer data for trim engine configuration. Please confirm the accuracy of the included equipment by calling us prior to purchase. Offer is valid through 2019-04-25.MRSP $45,615 Discount of $3,800+, Lease for $399 with $2999 Down Payment and approved credit. Sunroof, Leather Seats, Alloy Wheels, Turbo, Flex Fuel,CD Player, iPod/MP3 Input, Full-Time 4MATIC® All-Wheel Drive, Back-Up Camera, PANORAMA SUNROOF, LED HEADLAMPS, PARKING PILOT, CONVENIENCE PACKAGE, MATTE BLACK ASH WOOD TRIM, PREMIUM PACKAGE, NUT BROWN, LEATHER UPHOLSTERY, SMARTPHONE INTEGRATION. CLA 250 trim. PRICE DROP FROM $45,615, FUEL EFFICIENT 32 MPG Hwy/24 MPG City! SEE MORE! Full-Time 4MATIC® All-Wheel Drive, Back-Up Camera, Turbocharged, Flex Fuel, iPod/MP3 Input, CD Player, Onboard Communications System, Aluminum Wheels, Remote Engine Start, Dual Zone A/C. MP3 Player, Steering Wheel Controls, Child Safety Locks, Heated Mirrors, Electronic Stability Control. PREMIUM PACKAGE KEYLESS GO®, Blind Spot Assist, Heated Front Seats, SiriusXM Satellite Radio, HANDS-FREE ACCESS, NUT BROWN, LEATHER UPHOLSTERY, PANORAMA SUNROOF, PARKING PILOT, LED HEADLAMPS, CONVENIENCE PACKAGE Garage Door Opener, Auto-Dimming Rearview & Driver-Side Mirrors, SMARTPHONE INTEGRATION Android Auto, Apple CarPlay, Smartphone Integration (14U), MATTE BLACK ASH WOOD TRIM.